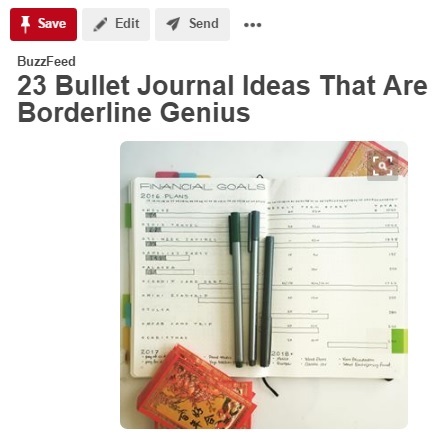 I was so surprised with the love that my Pinterest Board |Bullet Journal Unique Ideas| received. I roughly had 14 pins but got an amazing six followers for like a week of making which is insane. I guess a lot of Bullet Journal enthusiast really look for unique pages on their planners. So today I'll be sharing to you the pins I have pinned already on my board in the hope that you'll get inspired by any (or all) of them. Let's start. 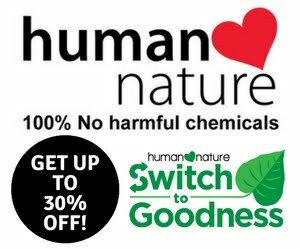 One of the best way you can improve your life is to have a monthly assessment. 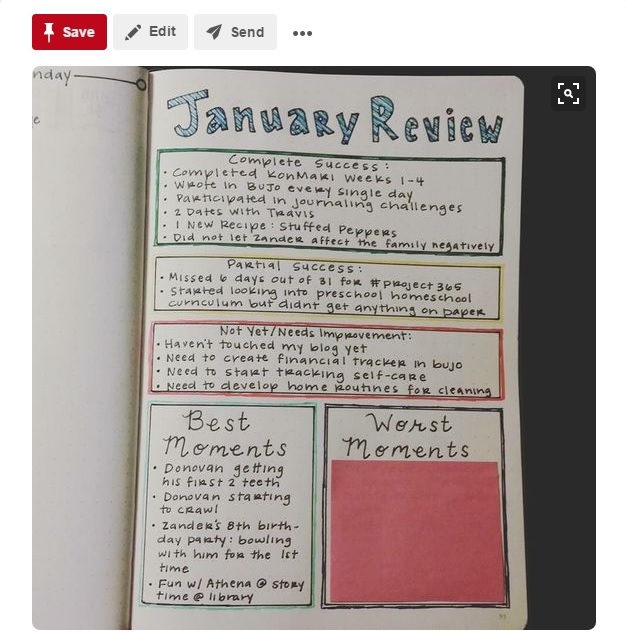 This Monthly Review layout is an awesome idea to those who'd been searching on ways that they can examine how the month went, what worked and what didn't work as well as the best moments and worst moments ever. 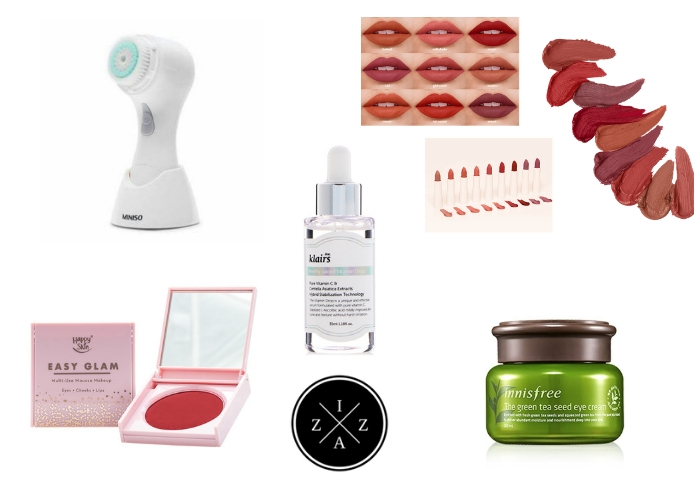 I actually will do this layout on my July Review which is due this week. Isn't this a cool idea?! 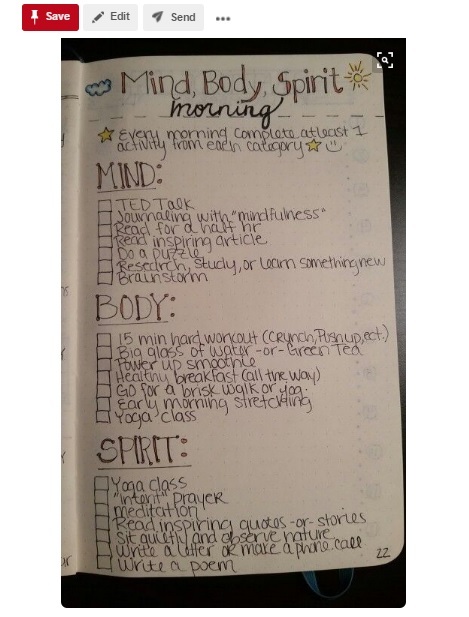 Its a list of an activity you could do to better yourself in the category of mind, body and spirit in the morning. I saw this and I knew I have to pin and save it because its sooooo amazing. This reminds me so much of the Miracle Morning which I started last June. The goal is to select at least one activity from each category you could in the morning. Of course you are free to change the list to the task that suits you best. 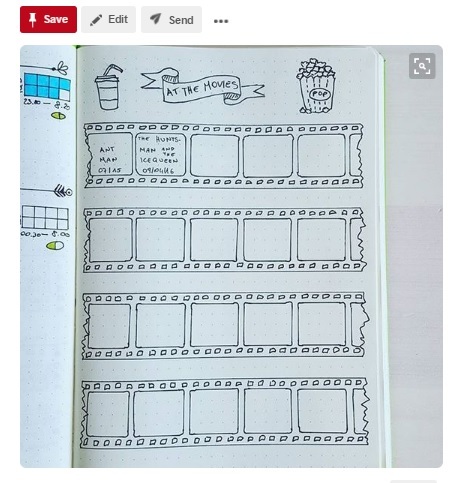 One creative way you can preserve the memories of the films you've watch either alone or with your significant other is through this amazing layout. I pinned this and its from @write.your.life in Instagram. 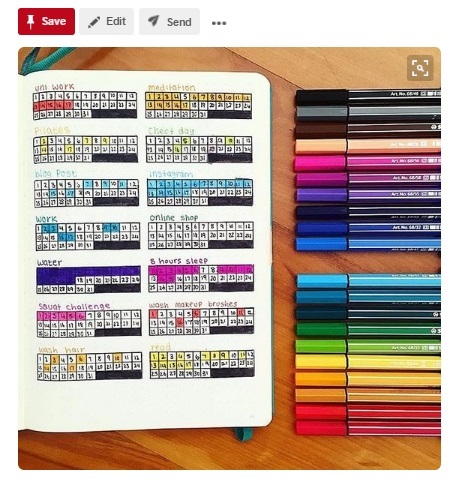 I should probably do this too over my next bullet journal notebook for August. This is insanely helpful especially for someone like me who's into the whole Miracle Morning craze. 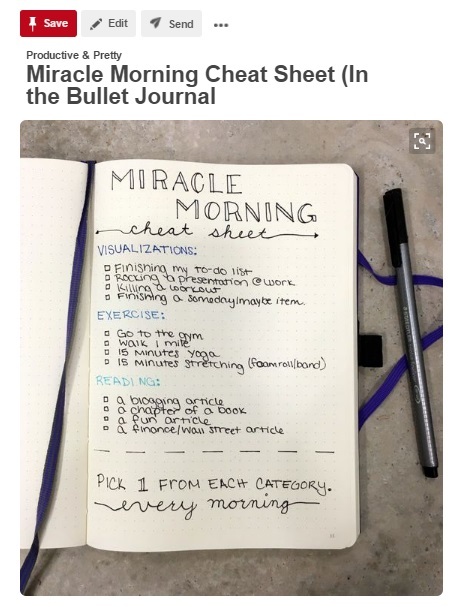 I have never thought of creating a cheat sheet so I could easily remember what and how miracle morning goes. This one is very simple but highly functional. This is another photo from a Bullet Journalist on Instagram. It is a definite must have it you wanted a page to contain the major life events in your year. You can look back to this page to have a quick view on how the year went. The fact that it's in a time line layout makes it easier to view. 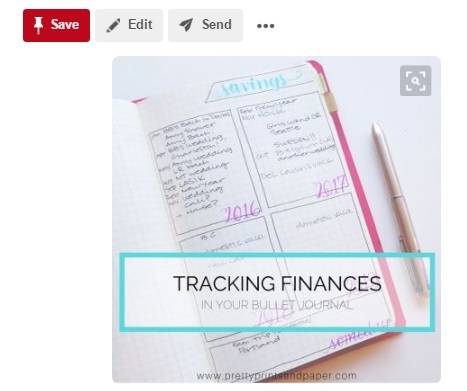 I've been searching for sooooo long on how I can incorporate my personal finance in a Bullet Journal and thanks to this layout I was able to do so now. Its nice because the set up is very simple and customize it on what financial info you want to write about. I am not good in drawing or doodling so I don't think this layout will work for me but this Morning and Evening Routine spread looks sooooo good. 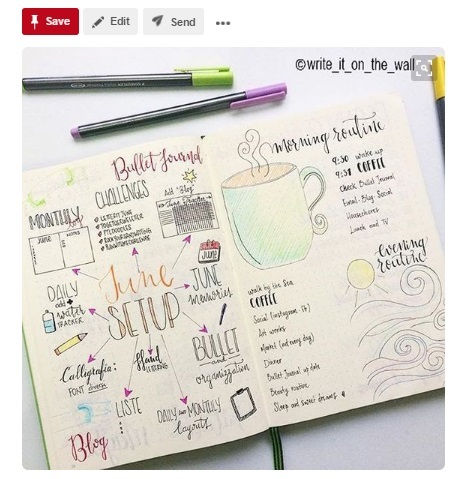 If you can draw or doodle then this could be a good layout to organize your routines in the morning and at night. 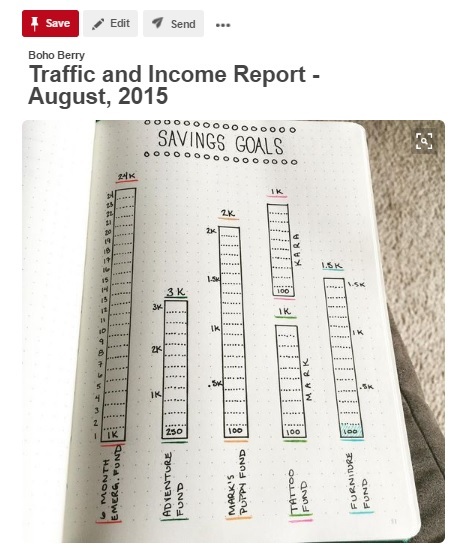 I found this layout to be very functional if you want to track how your savings and financial goals go. It may look complicated at first but its actually really simple. The main objective is to make sure that at the end of the week or month you update the tracker on how well you're performing on your goals. 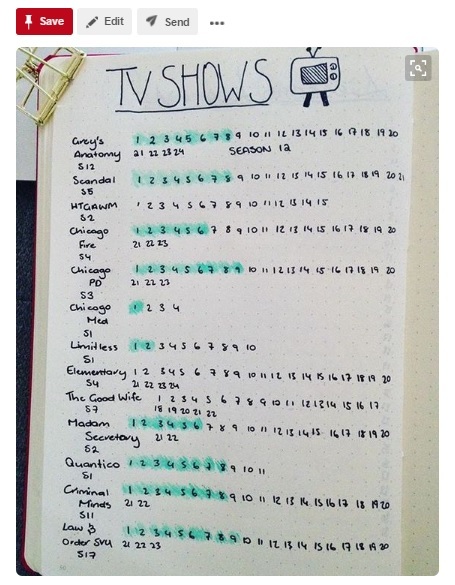 If you love to watch series then you'll love this simple DIY TV Show Tracker. You just have to write the title of the show and the episodes. Highlight whenever you've watched a certain episode. 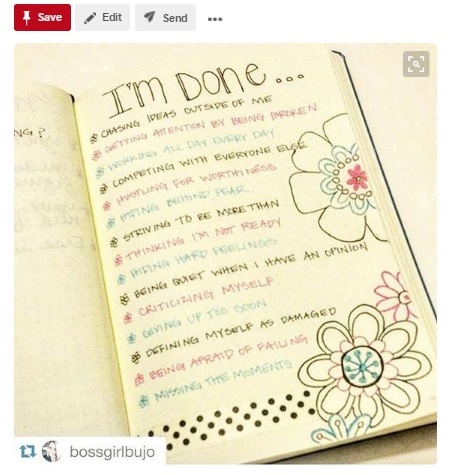 This page from Instagram is nice because its a list of the things you are ready to left behind. This is a great idea especially if you are struggling on personal insecurities. I feel like this is the complete opposite of the previous Bullet Journal Unique Idea. 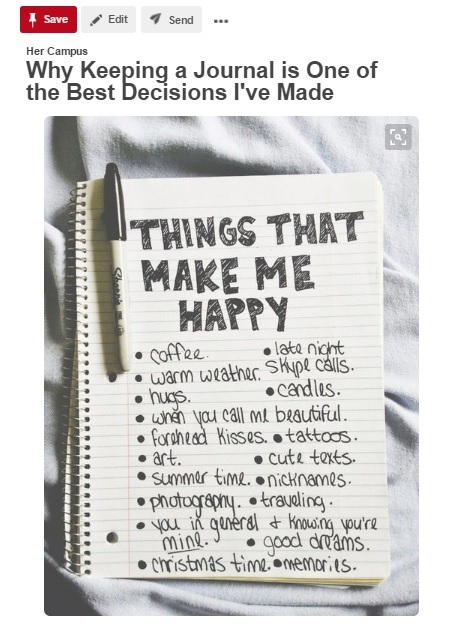 Here you make a list of the things from smallest to the biggest that give you extreme happiness. This will come in handy at times when you feel down and and lost and depressed. 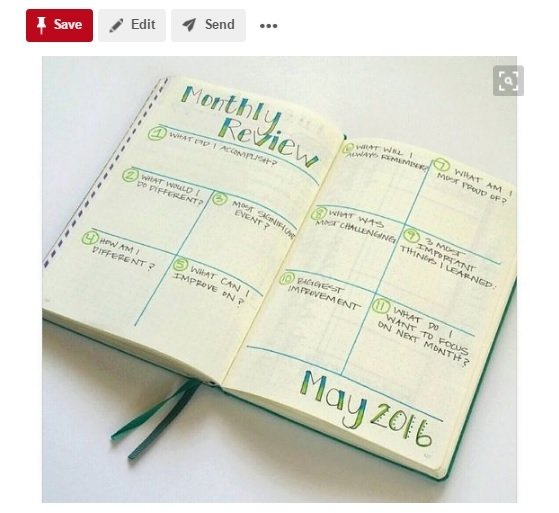 You can also do this layout for your end of the month review. It contains specific question that you need to answer in short and descriptive sentence. If you want a very reflective monthly review then this layout is surely for you. 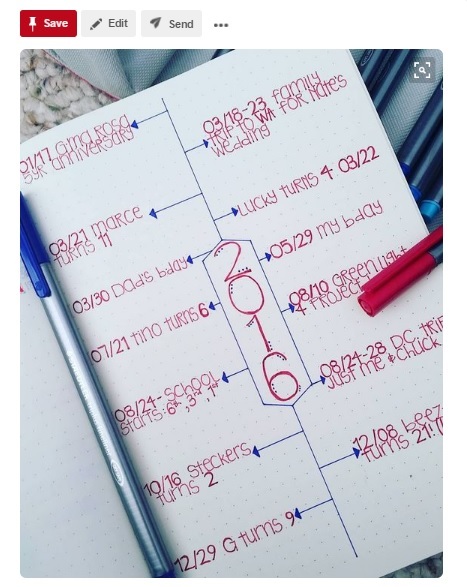 This is one of the first Unique Bullet Journal layout I've seen on Pinterest and its from BohoBerry. This is a good page if you have short-term saving goals meaning you'll use the money after saving in a specific time frame. Again you need to create a tracker to really know how much its worth already. This beautiful and colorful Habit Tracker is from Instagram. Its soooooo pretty and you will really feel happy marking each square once the task or activity is done. She also used some of the most vibrant colors ever that makes the page stand out. 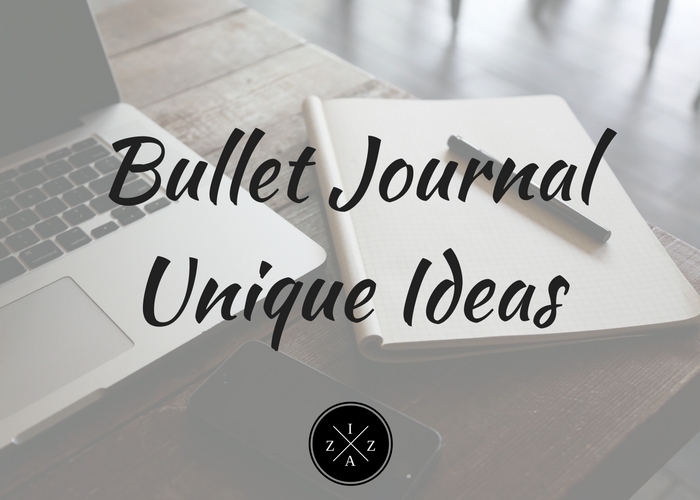 I hope the above photos and unique Bullet Journal ideas will get your creative juices flowing for your next or future Bullet Journal set up.